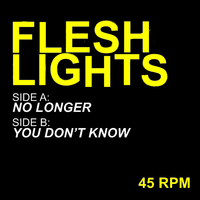 Twistworthy Records - TW-17: FLESH LIGHTS "No Longer" b/w "You Don't Know" 7"
The A-side, "No Longer" is a punk/power pop gem masterfully lead by guitarist Max that I knew I just had to release as a single the first time I heard the band play it live. 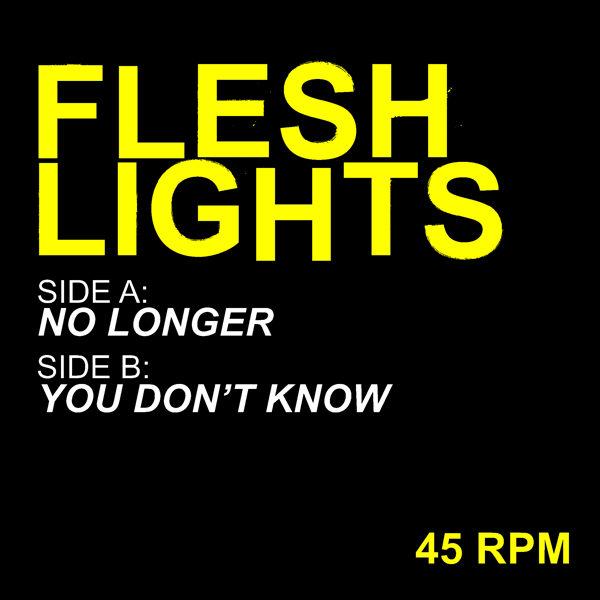 The B-side track "You Don't Know" puts bassist Jeremy in the forefront for a swagger-filled tune that will get stuck in your head for days. Both songs have been "fan favorites" (read: my favorites) and mainstays of their set from the past year and are sure to win over longtime fans and newcomers alike.